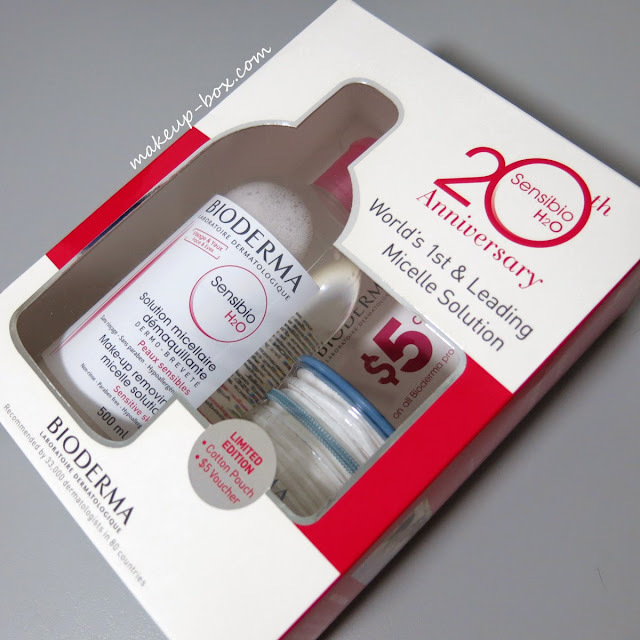 Bioderma's best-selling micelle solution Sensibio turns 20 this year, and in Singapore, there's a special Limited Edition Anniversary Pack which you should watch out for as it costs the same as a regular large bottle of 500ml solution (SGD$40.90) but comes in a box with a reusable travel cotton pouch filled with cotton pads, and a $5 Bioderma voucher. If it's a staple for you as it is for me, you should probably grab a few boxes to store since it's a much better deal than grabbing a regular bottle alone. And if you have never tried it, you probably should! Sensibio is a cleanser that's able to break down all (but the most heavy-duty) waterproof makeup gently and maintains the pH level of skin. There are also patented ingredients which help to increase the tolerance level of sensitive skin. There's a reason this is the No 1 dermatologically prescribed cleansing water in France, and something us beauty fanatics will trek to Citi-Pharma to stock up on when in Paris. Bioderma is sold at most Guardian, Watson's, Nishino, Unity pharmacies in Singapore, and also all Robinsons and John Littles.